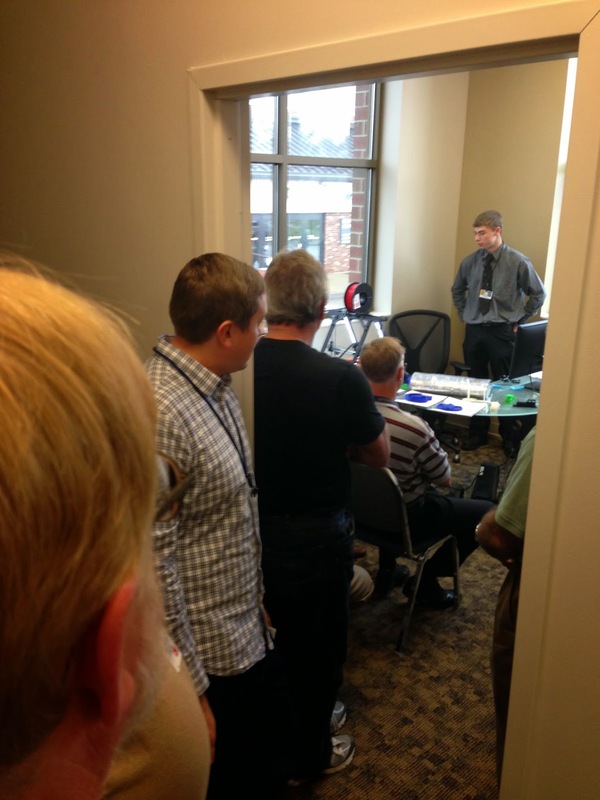 It was standing room only yesterday for James Carson's demonstration of the 3D printer installed in the Port Authority's just-unveiled 3D Printer Lab. James Carson is inspired by engineers. James Carson is a high school student who has had two years at C-TEC, our local technology vocational school, to learn design and printing on 3D printers. He's inspired by IC3D's 3D printers. The things he's designed and printed are amazing. 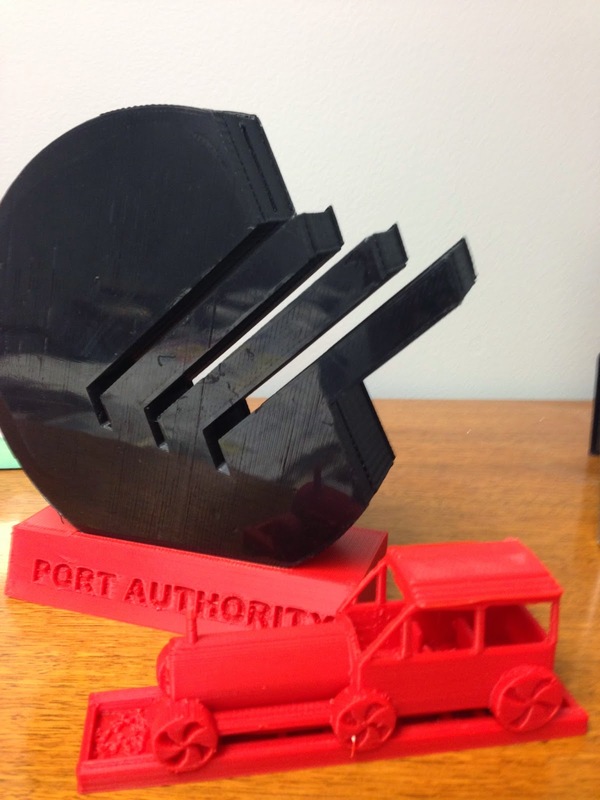 What he's gotten the IC3D printer to do are astounding. Engineers from our customers at Boeing, UTC Aerospace Systems, and Bionetics have key card access to use the machine themselves. They are future consumers of 3D printing and users of 3D printers and they are being inspired by James Carson. Then, we tweet the story on Twitter and get a response from Michael Cao, the engineer who made the 3D Printer. Seems there's a whole lot of inspiration going around, and around. P.S. Any company wanting to leap frog into 3D printing take note. James Carson will graduate this school year.